Offers a way to prepare our children (and ourselves) for the sacraments of Confession and Holy Communion. Fr. Artemy, pastor of All Saints Church in Moscow here offers a way to prepare our children (and ourselves) for the sacraments of Confession and Holy Communion. Tens of thousands of books have been sold in the original Russian version, and now English-speakers can benefit from Fr. Artemy’s gentle, sober counsel. 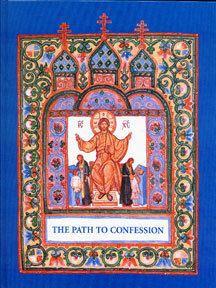 With beautiful, full-color illustrations on every page, The Path to Confession is a feast for the eye as well as the soul.